If you need to make important decisions quickly on the basis of large amounts of data, for example in an emergency situation, it is important to present the right data quickly. 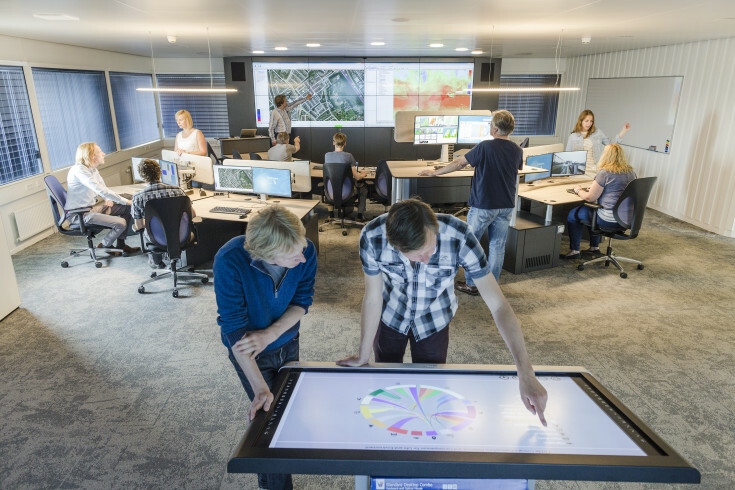 The Deltares iD-Lab brings together models, data, visualisation techniques and expert knowledge for application in disaster risk management, among others. The data is presented clearly so that the right decisions can be taken. We have set up a special area for this purpose: the iD-Lab: ‘interactive data research laboratory’. We are happy to provide decision-makers and experts with access to this area during emergency situations. At other times, the iD-Lab can be staffed by people from Deltares with the appropriate expertise to provide you with advice, urgently if required. We can use ‘real-time’ information to upgrade users’ insight and expertise. The iD-Lab is also available for training purposes and collaborative research.